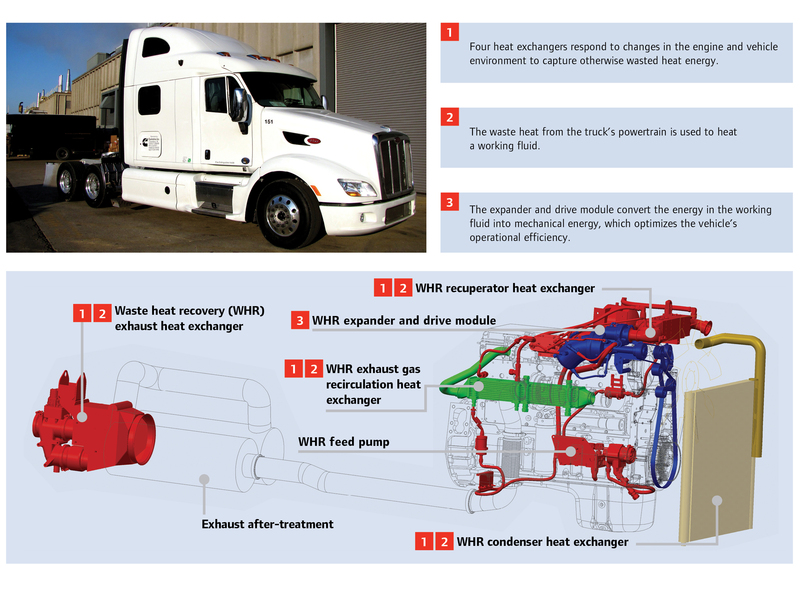 The waste heat recovery (WHR) system captures a portion of the unused energy from the powertrain of heavy-duty trucks and returns it to useful work. By adapting a well-known heat recovery technology — the Organic Rankine Cycle — and applying it to the vehicle’s entire energy system, the WHR system increases vehicle efficiency, reduces the operating costs of heavy-duty trucks and lessens the environmental impact of long-distance trucking. 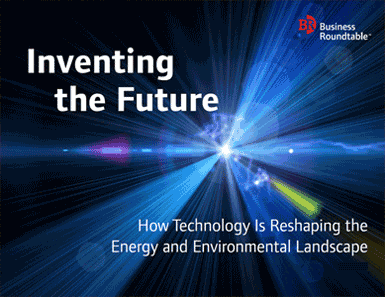 The WHR system is the product of 10 years of technology development, supported by a series of U.S. Department of Energy (DOE) programs and privately funded research. 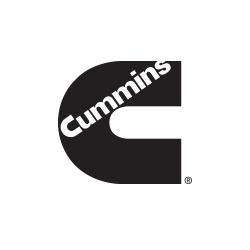 Currently, third-generation WHR system technology has been installed on three trucks, including the Cummins-Peterbilt SuperTruck, which represents a partnership between more than a dozen companies and the DOE that aims to increase the fuel economy of heavy-duty trucks by 50 percent. Typically, only about 40 percent of the energy produced by an on-highway, heavy-duty truck engine is used to power the truck forward, with the remaining 60 percent lost as waste heat through its radiator or tailpipe. To improve this ratio, the WHR system employs an integrated system of four heat exchangers that responds to changes in the engine and vehicle environment — acceleration and deceleration, road conditions, and variable load weight — to capture a portion of otherwise wasted heat energy. Specifically, the exchangers use waste heat from the truck’s powertrain to heat a working fluid, which is converted into mechanical energy that is used to optimize the vehicle’s operational efficiency. Increased energy efficiency: The WHR system significantly improves the fuel economy of heavy-duty trucks. Improved environmental performance: The WHR system represents a significant opportunity for emissions reduction. A future fuel-efficient tractor trailer operating with the WHR system could avoid up to 87 tons in carbon dioxide emissions over its lifetime.